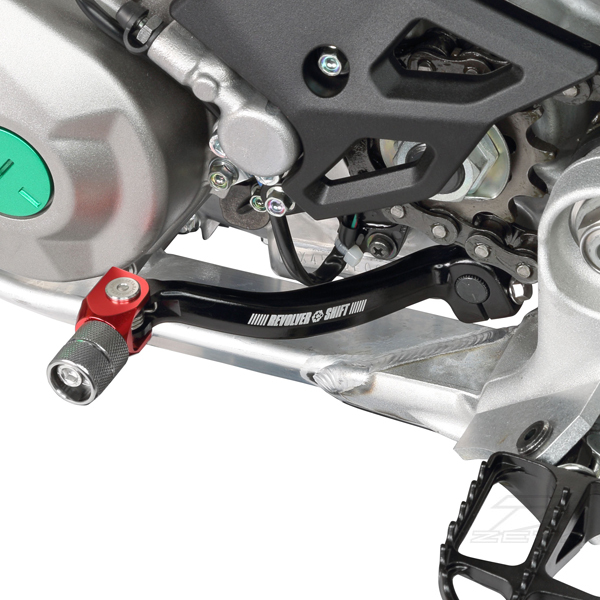 - Revolving shift tip design provides best shift positions for all riders. 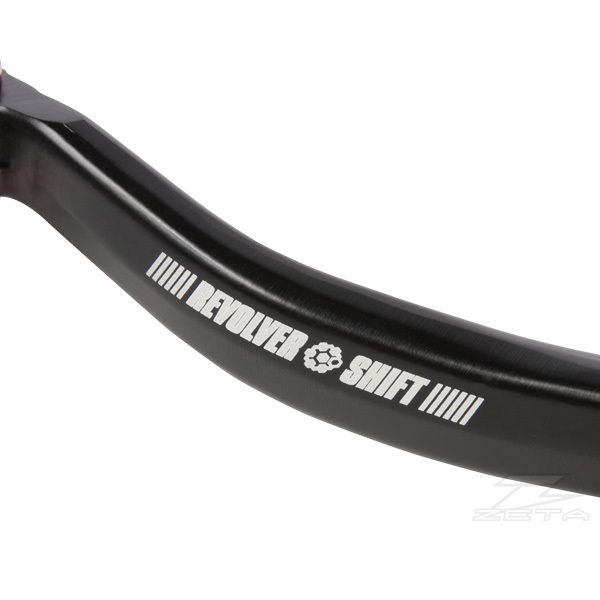 - Rotating shift tip provides 6 different positions, offer more sensitive shift position adjustment. 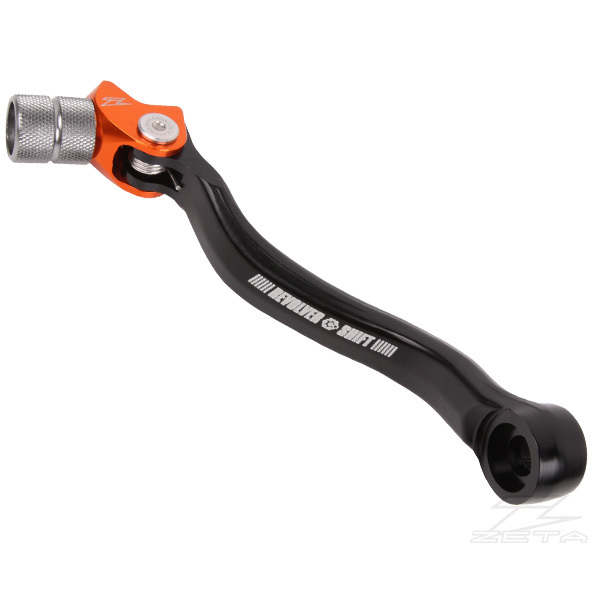 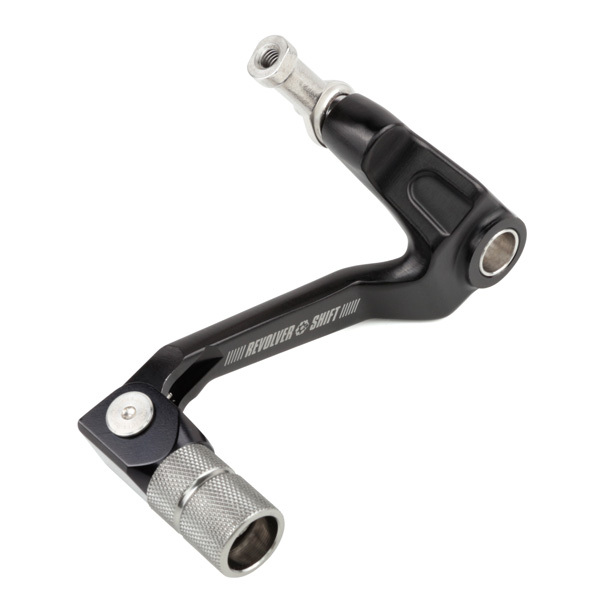 - Shift arm is made of A2014 forged aluminum for durability. 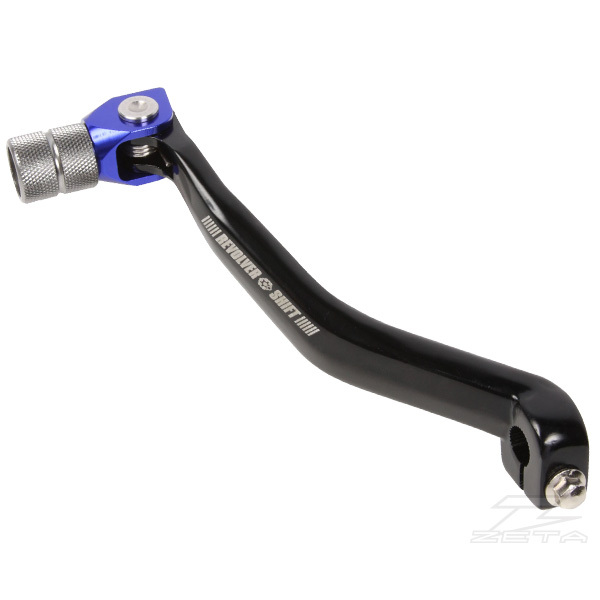 - Forged arm is black anodized finish with laser print logo. 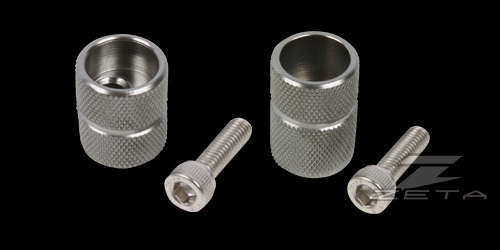 - Foldable shift tip is made of CNC aluminum with knurled finish for better shift grip. 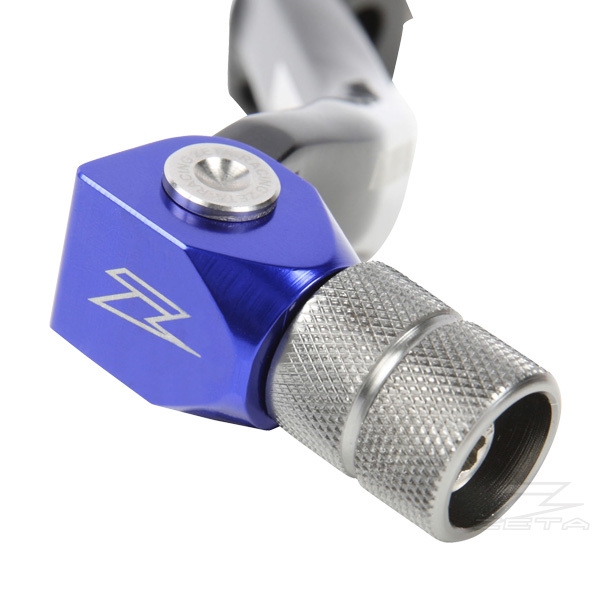 - Shift tip is color anodized with ZETA laser print logo. 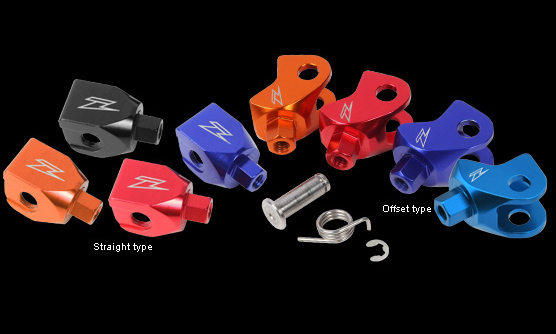 - Replacement shift tips and tip mounts are available. 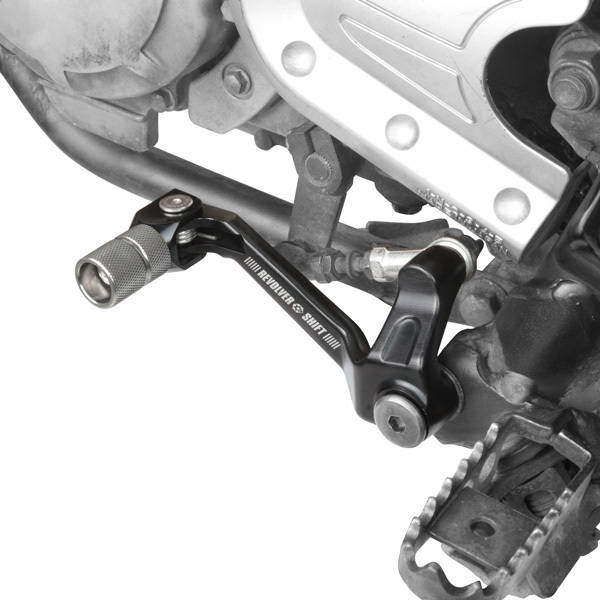 * Use replacement parts shown on the application list. 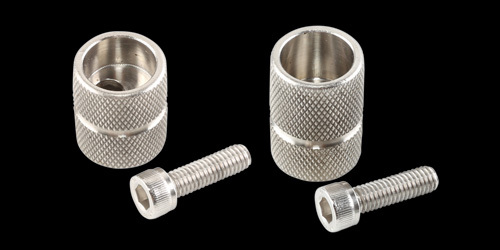 * Note replacement chip mount, please use the same shape as the compatibility table. 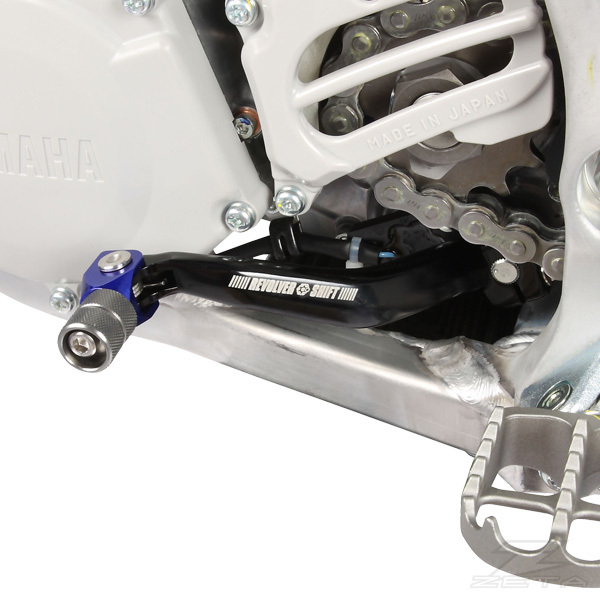 If you install a different shape and may interfere with the engine case cover.